Dark Side of Liberalism puts a practical, useful point on the words of Thomas Paine, who said, "Those who expect to reap the blessings of freedom must undergo the fatigues of supporting it." It’s a must-have for Americans young and not-so-young who seek a useful guide for arguing - and winning - the conservative cause for freedom. 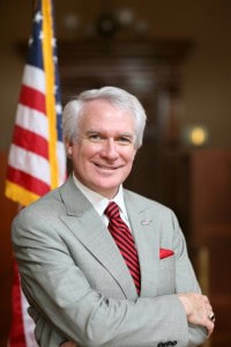 Former president of the Atlanta-based Southeastern Legal Foundation. Former press secretary to the late U.S. Sen. Strom Thurmond, R-S.C.
Former editorial page editor and columnist for the Augusta, GA, Chronicle. 1st Lieutenant, U.S. Army, Honorably Discharged.